The word prompts for this week were timely. Thank you, Ronovan! http://wp.me/p4ayEo-1Ny The short link in case the pingback doesn’t work! Ronovan, once again you inspired my thoughts! my soul to your glare? 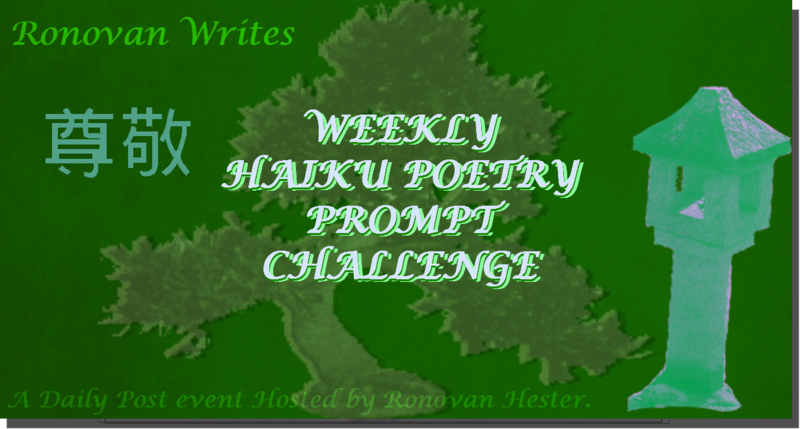 I used the wrong haiku prompt words this week. 😦 That’s what happens when you try to hurry things along. http://wp.me/p3eYyj-1pZ Sorry! I’ll try to add another haiku with the proper words sometime before Sunday.